This vacation house on six levels appears much larger than its approximately 1,800 square feet. 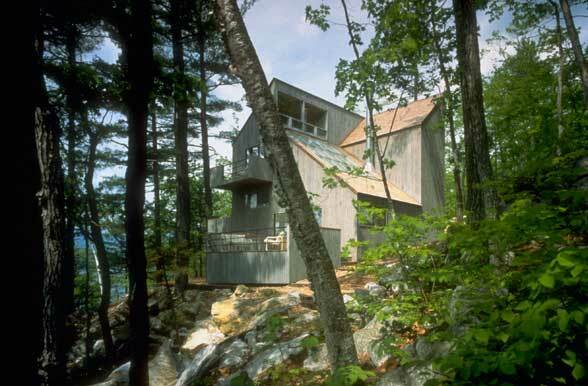 Located on Lake Kezar, construction was difficult due to the rocky and steep site, but the result is a structure which is isomorphic with its site. Entry is at mid level containing dining and kitchen. 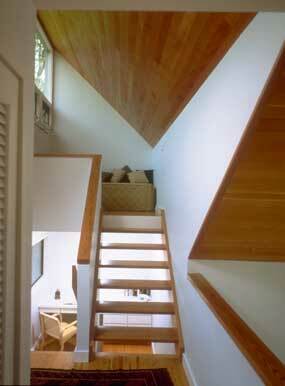 Down half a level is the living room, with a guest bedroom and bath below. 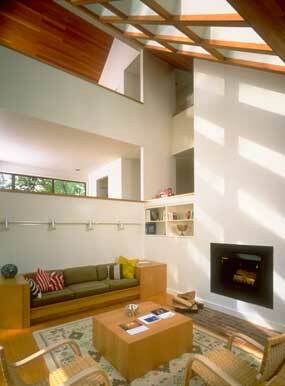 The master bedroom and bath and a small sleeping loft are on upper levels.